Recently been rereading a research article on raw milk cheeses published by Institut National de La Recherche Agronomique. Authored by E. Beuvier and S. Buchin. Firstly the hygienic aspects : Overall dairy products have a very good safety record accounting for only about 5% of bacterial outbreaks in France and 1-5% in six other countries (USA, Finland, The Netherlands, England and Wales, Germany and Poland) between 1988 and 1997. 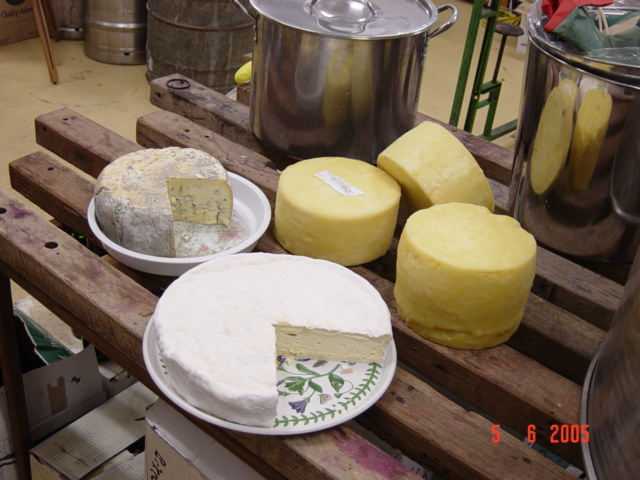 Raw and Pasteurised cheeses each accounted for 30% of that 1-5%. Interestingly E. Coli and Salmonella die slowly during the maturation of hard cheeses. The USA legislates that raw milk cheeses mature for at least 60 days. Secondly the sensory aspects: Raw milk cheeses ripen faster and develop a stronger odour/flavour. In almost all comparison studies raw milk cheeses received a higher score for pungent attribute. It is really a personal choice whether to use pasteurised or raw milk. Quite often availability dictates that choice. For us it's a belief that the food we consume should be as little interfered with as possible.